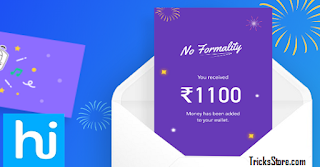 New Hike App Offer Hike Earning Trick Hike new offer Refer & Earn – Hello Tricks Store readers, Hope you all the well and enjoying our Free online earning apps and free paytm cash offer. Now again earn with Hike app, Just invite all your friends and family to earn up to Rs 10,000. we know earlier hike app was giving Rs 20/Refer whenever your invited friend was installing Hike Messenger from your Unique Refer Link. 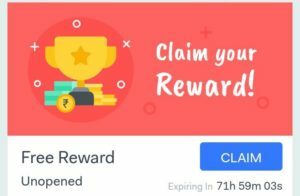 Now they are again coming with exiting refer & earn offer by which you can earn a huge abount of rs 10,000 by just suggesting the hike app to your friends. This bumper hike Reward Offer is for all users(old & new) And Now they are giving random amount to Referred Friends. Now just invite all your all friends to Hike App and earn Up To Rs.10000. Tricks Store Tip For Old Users – Update your app [ From Here ] and Use Unused Hike Numbers with Parallel Space app. 2. It’s important to register using Refer Link(above download link) to earn from hike and must have to be a New User with New Number and Verify it with OTP. 3. After that just go to the Dashboard and you will See a Claim Option there. 4. Now click on “Claim Rewards” and you will get any Random Amount your Hike Wallet instantly. 6. You can further check your Hike Balance in ME >> Wallet > and Check your Balance. That’s it guys, You can transfer your earning directly in your Bank Account or Recharge your Mobile or Pay Bills. 8. Just click on Invite & start sharing your referral link and tell them to install hike on their phone. After that both of you will Get Random amount in your Hike App Wallet. Best part of this offer is you can Earn up to Rs.10000 in your wallet and all your money is transferable in to your bank. *How to Redeem Hike wallet balance in to bank account? You just need to follow some simple steps and you can transfer your all hike wallet offer money balance in to your bank. * First of all Go to your wallet in hike app . * In this Screen you will see your wallet balance on the upper left side. * Now just click on wallet button. * There it will ask you for add bank account details. * Now choose your amount you want to transfer to bank account.